Seven Foot Knoll Lighthouse is one of the last remaining screw-pile lighthouses. Originally located at the entrance to the Patapsco River, the structure now stands watch over the Inner Harbor in Baltimore, MD. 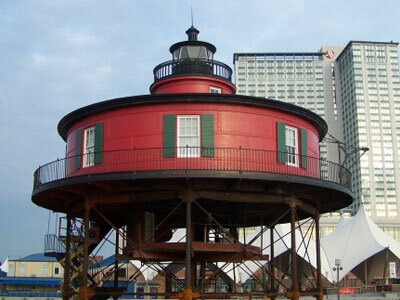 Seven Foot Knoll Lighthouse is the oldest screw-pile lighthouse in Maryland and is listed on the National Register of Historic Places.